If you’ve ever seen a goose in real life, you probably know that they can be rather vicious creatures. In early 2019, you’ll be able to play as one of those birds and ruin peoples’ days in Untitled Goose Game, a slapstick stealth game published by Panic and created by House House, creators of Push Me Pull You. It’s a lovely morning in the village and you are a horrible goose. Untitled Goose Game has you as the titular goose, and like most geese, you’re just filled with the urge to be a real jerk to the populace of this small village. The very first trailer and pre-alpha gameplay footage of the game showed the naughty goose at a man’s farm. In the footage, the goose has a “to-do” list of objectives which will be different in each stage. The goals require careful manipulation of the environment and the unsuspecting villagers. In the release date trailer above, you can see the goose completing one objective where it has to “do the washing.” Being a rude little goose, it accomplishes this by throwing a bar of soap into a small outdoor pool with someone’s clothes strewn about in it. 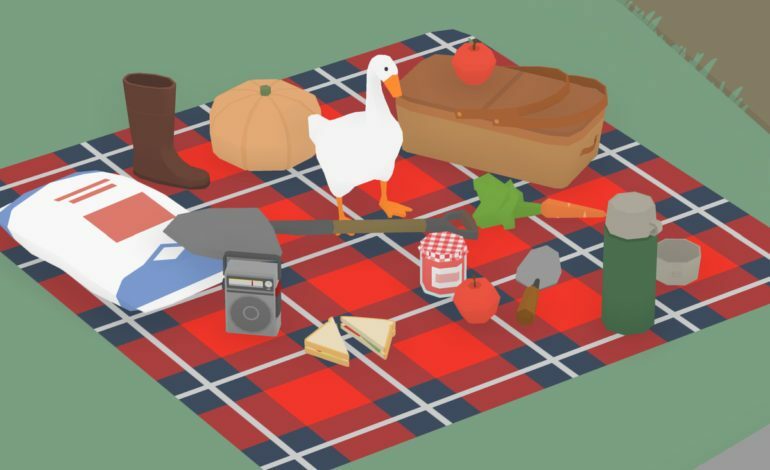 The pre-alpha trailer, as seen in the previous Untitled Goose Game article, ended with two geese harassing the poor farmer, so multiplayer may also be in the game. Untitled Goose Game will be waddling it’s way to computers and the Nintendo Switch in early 2019.